Item number 08.491.8925 from the Brooklyn Museum. 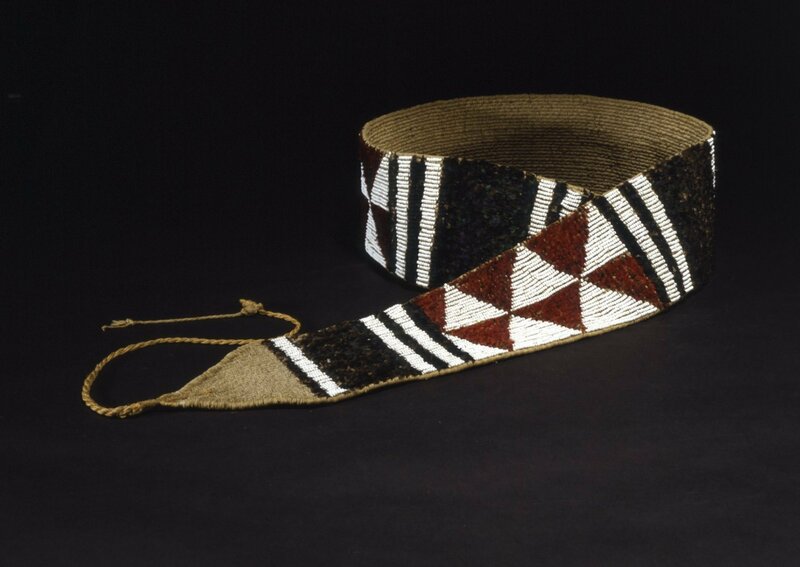 Mrs. Ann Barber, the Maidu owner sold this belt to the Museum curator Stewart Culin. According to another Maidu informant, Mrs. Azbil, when she came into the country everyone of any wealth and importance had a belt. People could marry with them. The man gave it away. They also wore it in the War dance and this was the only way a man used it because it actually was a women's belt. 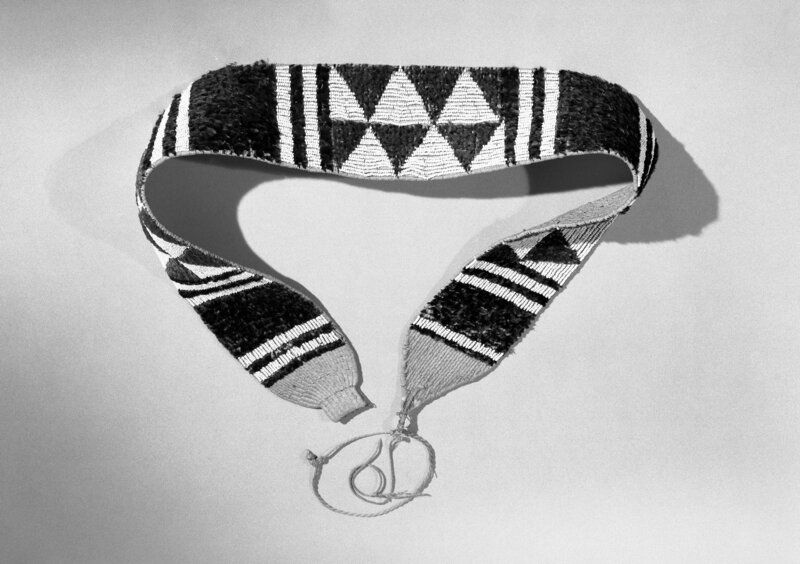 This particular belt had been given to Mrs. Barber by her first husband, Pomaho, who married her with it. When he died it became hers and she was criticized for not burning it. 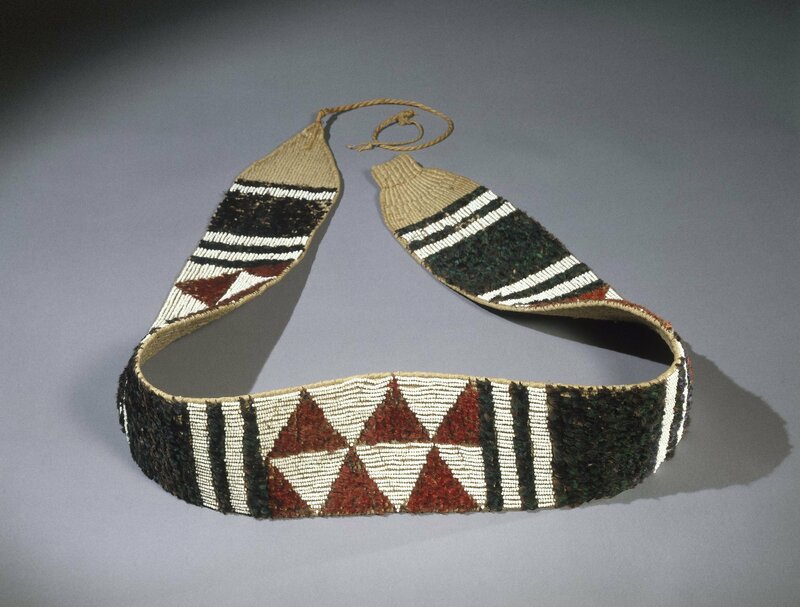 The belt would be wrapped around the waist of the dancer twice for the Hesi, Toto of Kenu dances. The patterns on the belt mirror those used on baskets. The red triangles are composed of the scalps of twenty-five woodpeckers and are called grapevine leaves. The two narrow strips, composed of duck feathers, were named after the tongs used to lift the boiling stones out of the baskets when boiling mush. The knot of the belt where the threads come together is called the navel. 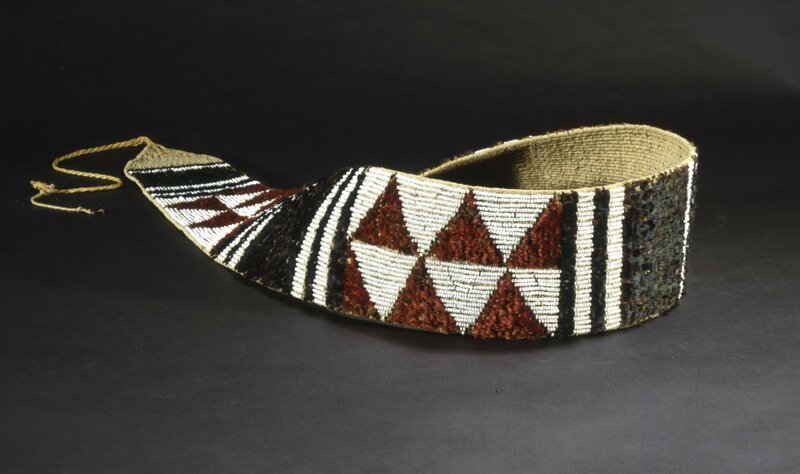 Feather belts were the supreme Maidu representations of wealth and as such were prime candidates for destruction at death of the owner. Thus they are rare.